Dry shampoo, where would we be without it?! 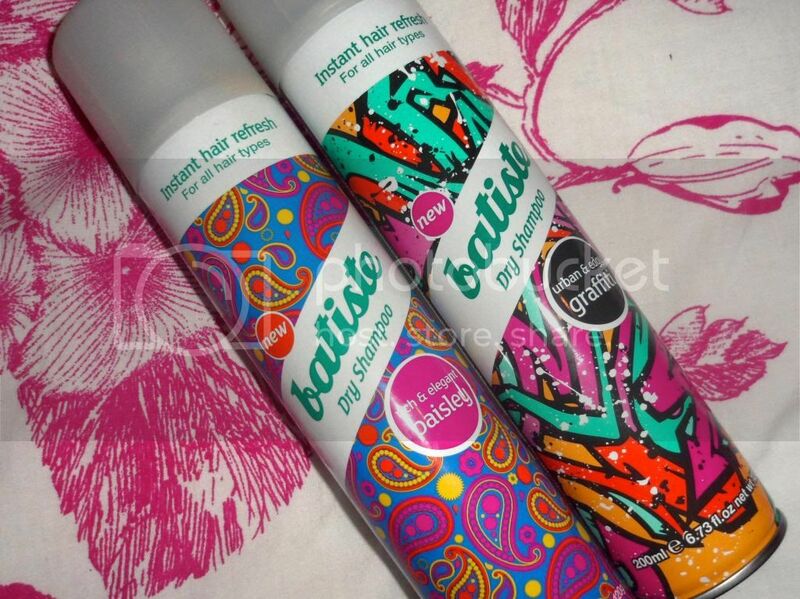 Batiste is without a doubt my favourite brand of dry shampoo and I owe many '5 minutes more' snoozes in bed to them. Who wants to get out of bed earlier than needed on these cold winter mornings, I know I don't! Paisley has a really feminine fragrance to it that I really like, It's light and refreshing without being too overpowering, and consists of top notes of Grapefruit, Lime & Cassis, middle notes of Jasmine, Rose, Apple, Raspberry & Patchouli and a base of Musk, Vanilla and Caramel. Graffiti on the other hand is a lot more masculine with fruity top notes of Apple, Wild Berry, Grape & Citrus, middle notes of Jasmine, Lily & Iris and a base of Musk, Coconut, Sandalwood and Cedar. The Sandalwood in this one really stands out and sets it apart from the really floral and tropical scents that are usually associated with dry shampoos and I can definitely smell why this is described as en edgy and urban fragrance. The results, as ever with Batiste, are great, refreshing hair without weighing it down and leaving it looking powdery. My favourite of the two scents is definitely Paisley and it has replaced my previous love for the Cherry scent! Have you tried either of these or does a different brand hold your allegiance?